This pretty piece of art makes me smile in its simple beauty – its a giclee so there is no glare of glass and I think that makes it easier to appreciate! A shipment of art just arrived late yesterday afternoon. After the initial flurry of activity required to take in the shipment, unpack it and examine it then price it….I got to thinking of how the walls of a room define the space within it and how decorating the walls brings the room to life and enhances and complements the other furnishings. 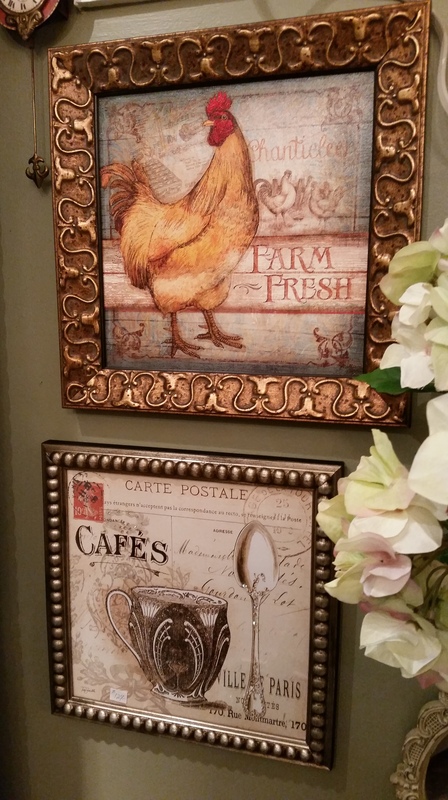 I began thinking about how certain pieces of art just make your heart beat…and how the enjoyment of looking at them directly contributes to your feeling of well being and enjoyment in your home! So on that note I am excited to share a few pictures of some of the art that came in….its a diverse collection this time…mostly smaller pieces but all beautiful. 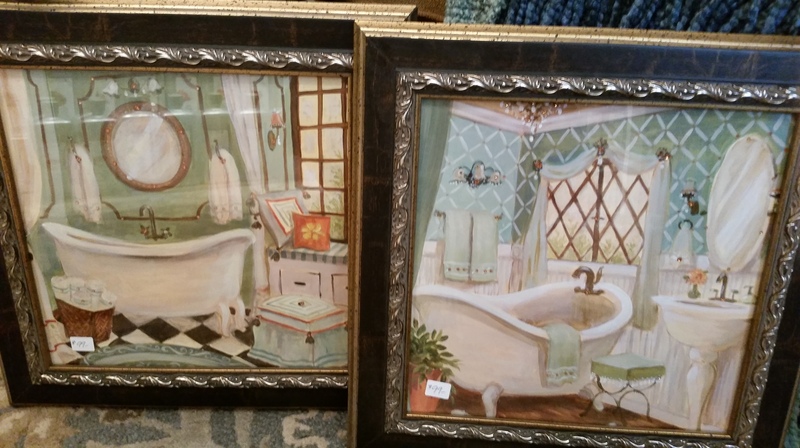 Maybe one or two will touch your heart and will take its place in your home! 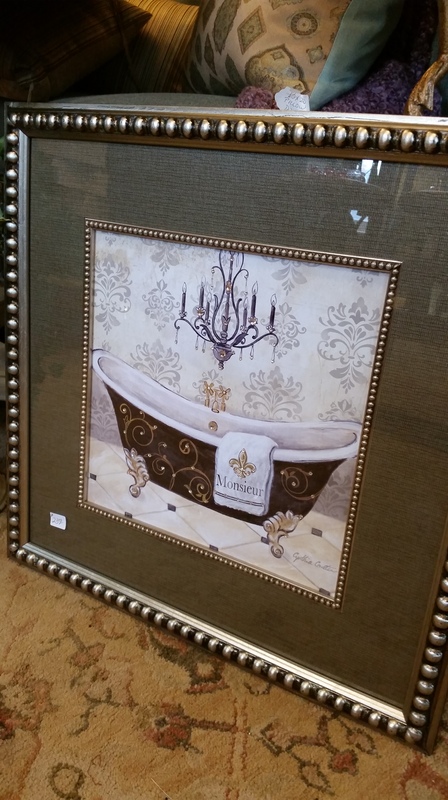 This chandelier print has a companion print that showcases a different chandelier. Together in a Dining Room they would be spectacular. 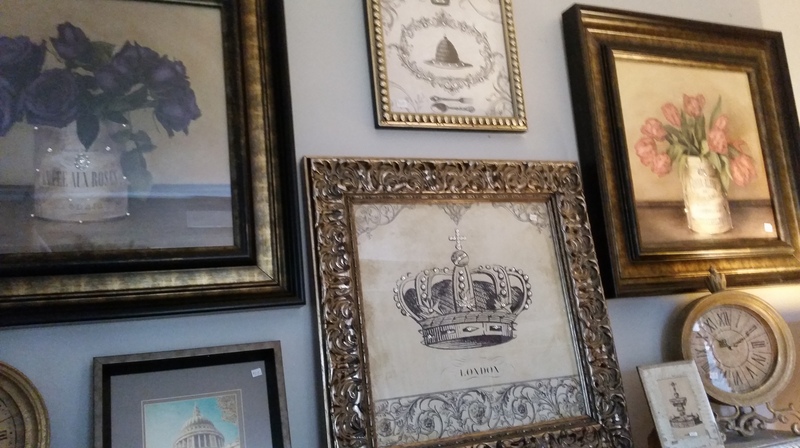 We have some elegant crowns right now too…couldn’t resist putting one in the vicinity of this print….they just seem to resonate! The Chandelier print is studded with little amber crystals. This wall has some many pretty pictures on it – all very different and yet all working together to form a lovely picture. 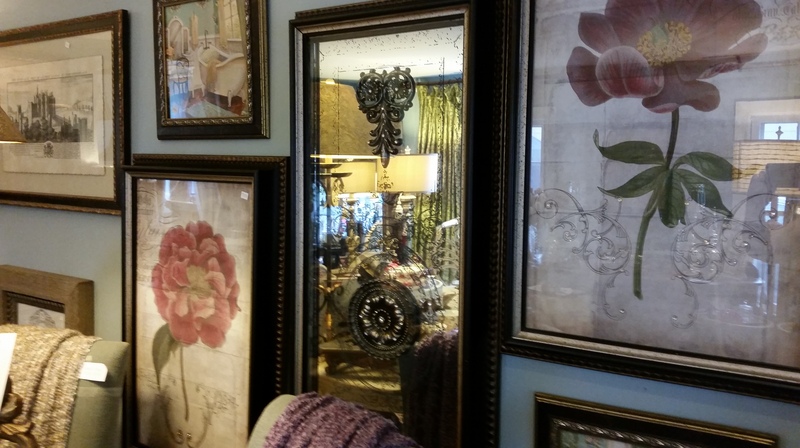 The one in the middle is actually a mirror distressed and detailed with reverse painting on glass so it is reflecting the other side of the shop! 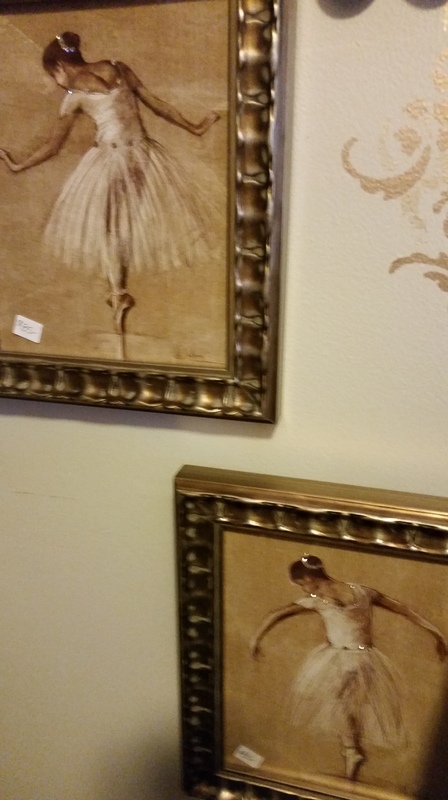 There are four of these pretty ballerina prints….all different poses studded with jewels. I love these – they are so elegant and look very old…I like to think some ancestor of mine lived in one of these castles. 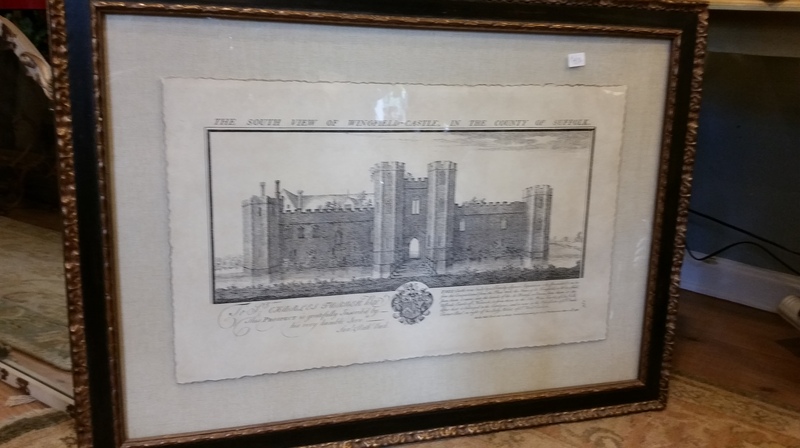 There are 3 different castle prints – all beauties. There is some diversity on the wall but it works in that all is beautiful! 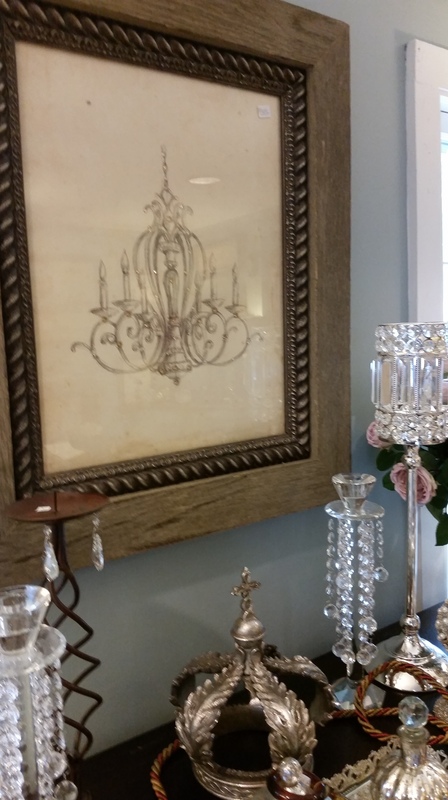 There are more beautiful pieces in the shop so stop by and see what catches your eye! 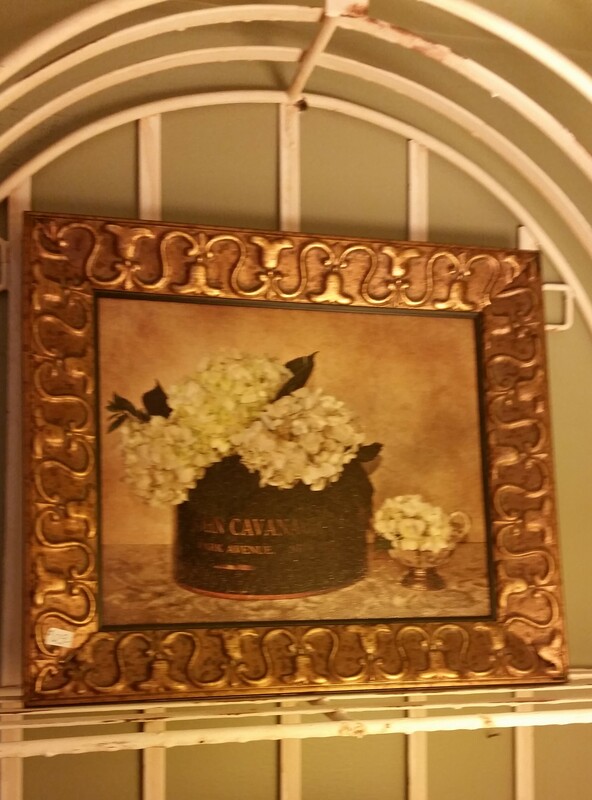 Our artwork is always elegant, always beautiful and always 20% off every day. This entry was posted in DIY, Furniture, gifts, Home, Paint, Uncategorized and tagged artwork, Chester NJ, color, crowns, decor, design, french decor, french look, french themed merchandise, home, home decor, inspiration, interior design, photography, The Whistling Elk, wall decor. Bookmark the permalink.